Audio4fun launches Back-to-School seasonal store offer for the top valued VIP Membership, providing users unlimited power to control any commercial audio and video morphing product. Last but not least, in addition to the VIP Card’s listed benefits, users will also have the ability to make full use of the huge library of add-ons and product tutorials from Audio4fun. In Back-to-School, the company only introduces the top viewed tutorial for Voice Changer Software Diamond in “Voice Changing Class 101,” and the best school-related sound packs in “Fun Materials.” However, there are so many more add-ons to explore for the various products, including voice effects, audio effects, background effects, sound packs, voice samples, and many more. 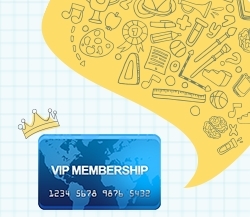 The quickest and most economical way to have fun with all of them, is with the VIP Card. All readers can visit https://www.audio4fun.com/discounts.htm for more in-depth information regarding Audio4fun's Back-to-School campaign and VIP Membership value. Click here to view the company profile of AVSoft Corp.
Click here to view the list of recent Press Releases from AVSoft Corp.